My food intake on weekends tends to be all over the place. This weekend was no exception. We were in and out of the house and spent a lot of time with friends. Friday night we had some of my friends from school over for dinner. I made Brent’s favorite meal: Chicken with Forty Cloves of Garlic. Wow! I just realized that I made it last year on the exact same date. Weird. With the chicken I made roasted potatoes, homemade caesar salad and artisan bread. I took no photos, but it looks the same as it did last year. Saturday was all over the place. 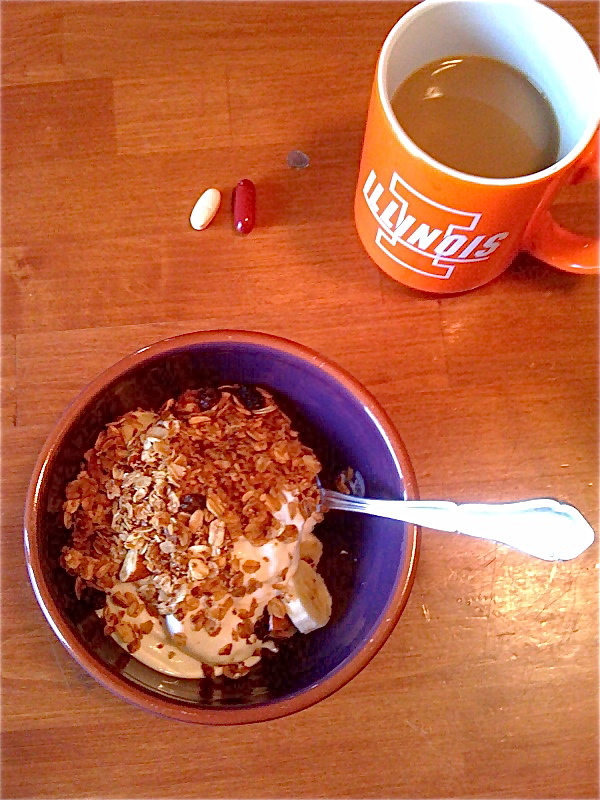 I started the morning with Oikos, a banana, and almond granola with coffee. Warning — most of this post is iPhone photos. 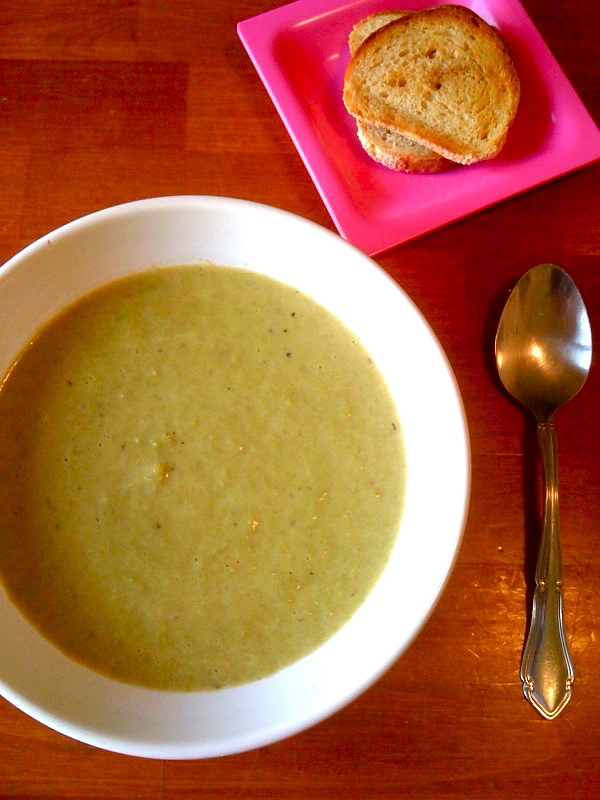 Later that afternoon, I used the cut off ends of last week’s asparagus bunches to make some cream of asparagus soup. I chopped up the asparagus ends and sautéed them in 1 tbs. each of butter and canola oil. I sprinkled 1-2 tbs. of flour and cooked until the flour was mixed in. Pour in 3-4 cups of vegetable broth and bring to a boil. Simmer until asparagus ends are tender, about 20 minutes. Puree the soup in a blender, return to the pot and whisk in 2 tbs. heavy cream. Season with salt and pepper. 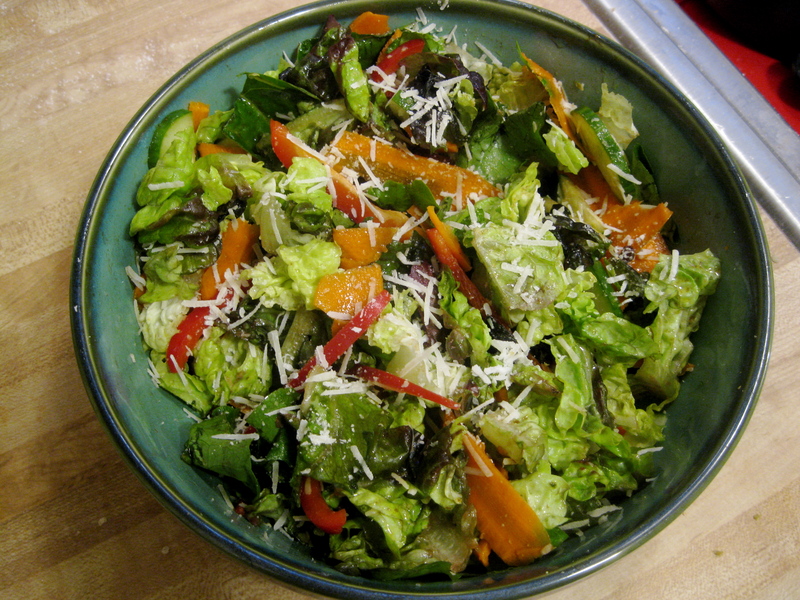 This was so simple and delicious! After lunch, Brent and I headed to Brewfest to sample some beer. I was driving, so Brent used both of our ticket and I just had a few sips of the samples. 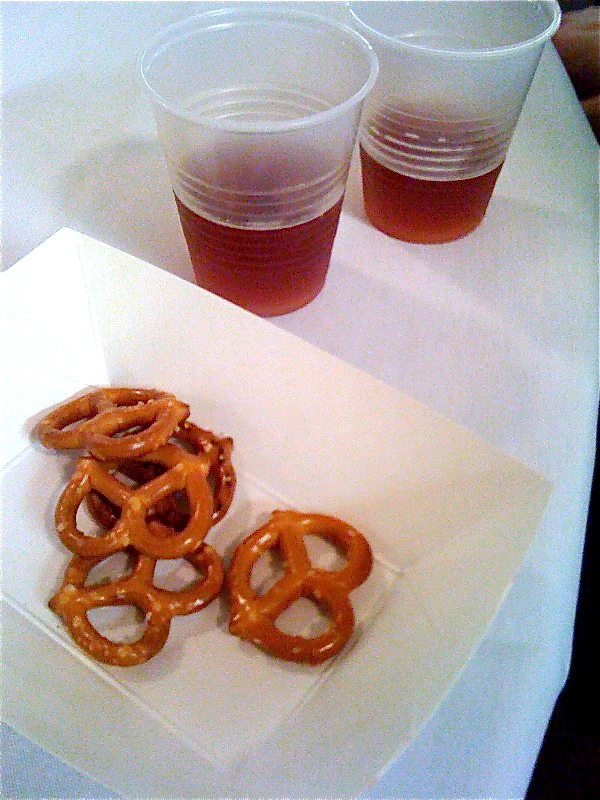 I probably ended up drinking the equivalent of half a beer and snacking my way through a serving or so of pretzels. We met some of our friends at Brewfest and headed to a local pub for dinner and more drinks. I didn’t have any drinks, but I did have a cod cake with some sautéed spinach, cabbage and leeks and a few pub chips. Really good! The fun wasn’t over yet so we went to our friends house for more drinks and talking. I had a glass of wine, and became exhausted. We eventually left around 12:30. I’m getting too old to stay out late! This morning I got up (way before Brent!) and went grocery shopping. The grocery store has a Starbucks in it, so I bought a tall soy latte to drink while shopping. 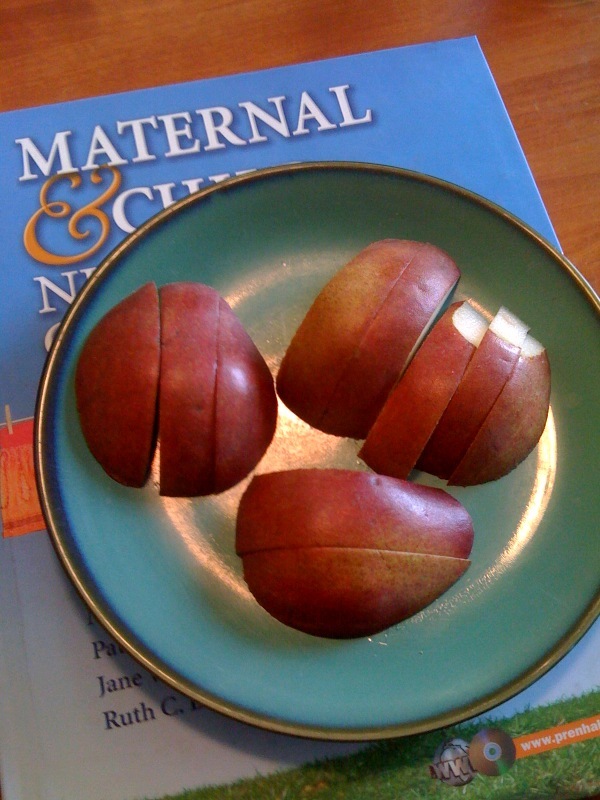 I wasn’t super hungry, so when I got home I just had a sliced pear while trying to do some studying. When Brent finally got out of bed, we went to get some lunch. I had a vegetarian sandwich from Jimmy John’s and a few sips of Brent’s Coke. I dragged Brent shopping so I could try to find a spring coat. Totally unsuccessful. We spent the rest of the afternoon watching basketball and eating some chips. After realizing how gross greasy chips make me feel, I got my act together and made a healthy dinner. 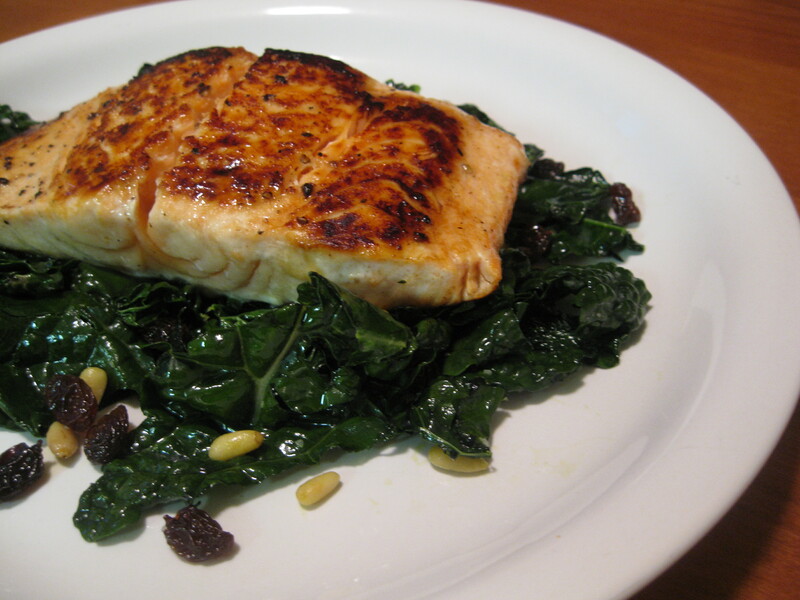 I made Kale with Raisins and Pine Nuts and served it with a seared salmon fillet. The salmon was just seasoned with salt and pepper and then brushed lightly with maple syrup. I only ended up eating half of the salmon (but I finished all my greens!) You’ll see the other half of the salmon in tomorrow’s lunch. So that was my weekend in a nutshell. I’ve got to get to bed now — 5am comes way too quick! 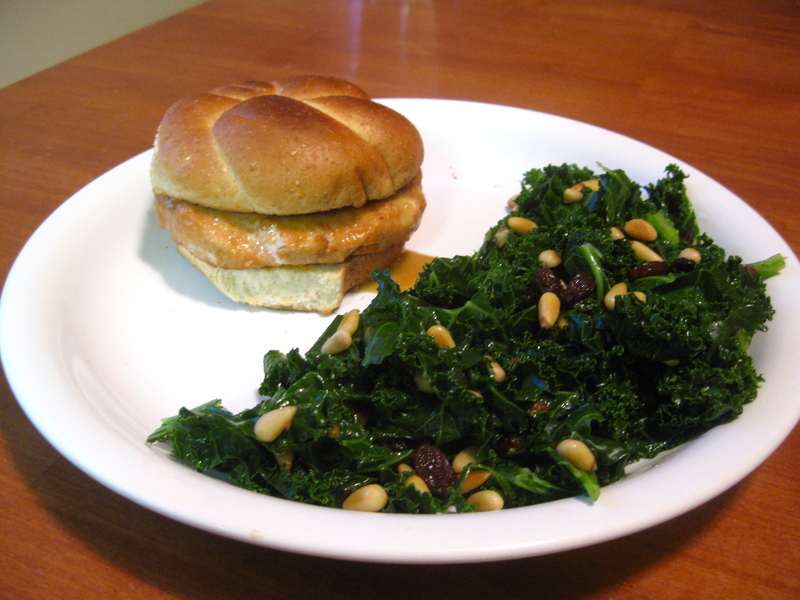 Posted in Uncategorized and tagged kale, Salmon. Bookmark the permalink. Today’s been kind of a let down, which Brent would tell you is ridiculous because nothing horrible happened and my life is totally great. All of that is true, but sometimes you just can’t help but feel blah and mopey. The day had a less than spectacular start. I had class at 8am and needed to be out of the house by 7:15. Apparently I turned my alarm off in my sleep and I woke up at 6:50 when Brent got in the shower. Crap! After a mad dash to shower, dress, and blend a smoothie, we got out the door in time. Obviously there was no picture of breakfast. It was a yogurt, banana, strawberry and flax seed smoothie. I drank it while learning about the anatomic and physiological changes that occur during pregnancy — best birth control ever. I called my mom to tell her I couldn’t believe she went through that 4 times! After class I rushed to fill out my march madness bracket 30 minutes before the first game because I forgot to do it last night. I also had a disappointing phone call with a doctor’s office. I’m in the process of searching for a new one and after researching, I found a physician in Fort Wayne who has an integrative philosophy closer to my own. Unfortunately he’s one of a kind in the Fort and has no openings for new patients until December. I was crushed. Devastated. I get devastated pretty easily though so Brent didn’t seem too concerned. 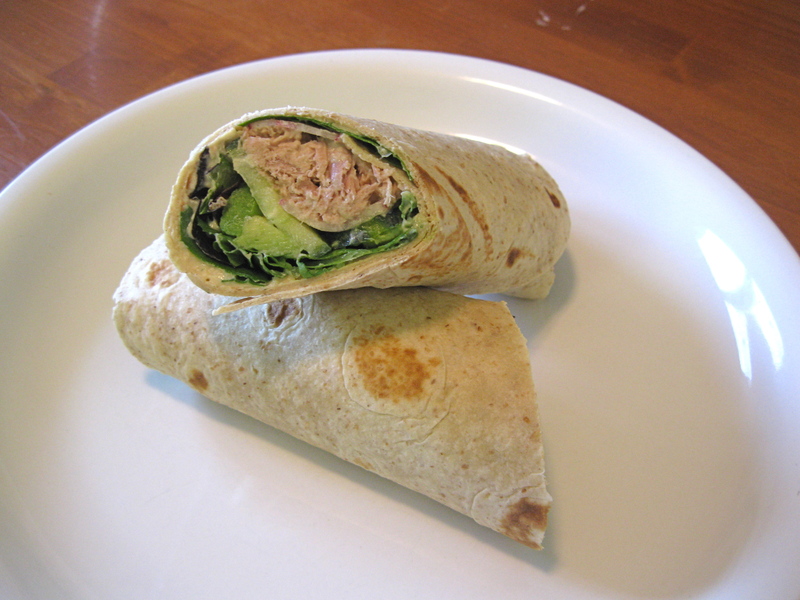 To console myself I made a hummus, veggie & tuna wrap. On a whole wheat tortilla, I spread half of a single serve of hummus. Next I layered some organic spring mix, radishes, cucumber, and 1/4 of an avocado. 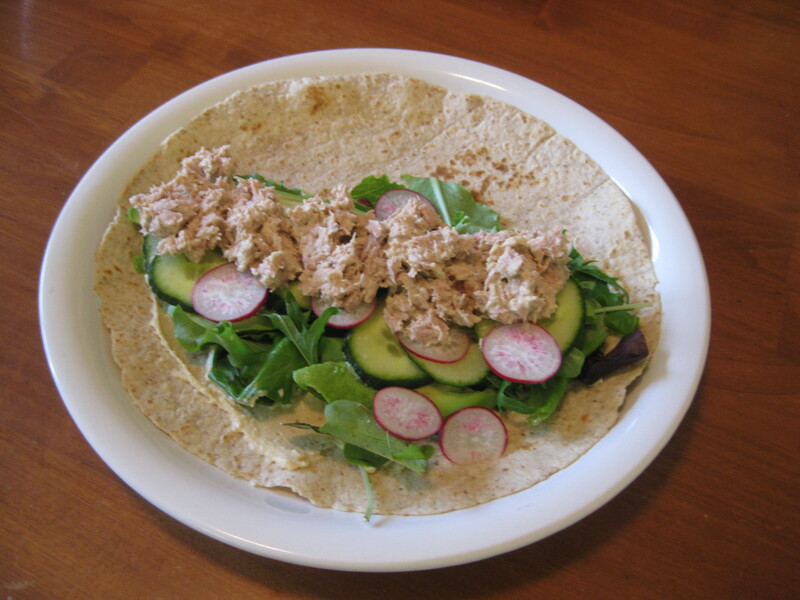 I mixed the remaining half of the hummus with a serving of tuna and spread that on the top. Then I just rolled it all up. I used a small glob of hummus as glue to hold the tortilla together. I kind of thought that was genius on my part. Cut in half and serve. After taking Lucy for a 30 minute walk, I picked Brent up from work a little earlier than usual. While watching some basketball, we split a small bag of potato chips – like half a serving each – and I had a cup of Jones Orange & Cream soda. Brent and I were talking earlier today about getting some chips and dip to have while watching basketball. A month ago this would not even have been an issue for me. I would have been all over it. I freaking love some chips and dip when the occasion calls for it. Now that I have this cholesterol diagnosis and I’m trying to make myself believe I can help it with diet and exercise, I felt so torn. I seriously had long drawn out conversations about it in my head. I Hate thinking like that. I never wanted to be “that healthy chick who doesn’t eat chips or ice cream or pizza or whatever.” Not that there’s anything wrong with not eating those things… but I like all of those things! I don’t want to have to be so stressed about eating a snack. I’m sure I’ll progress and move past that way of thinking, but it just generally made me feel crappy for the rest of the evening. Moving on, I did have pizza again for dinner. I know. Totes lame. 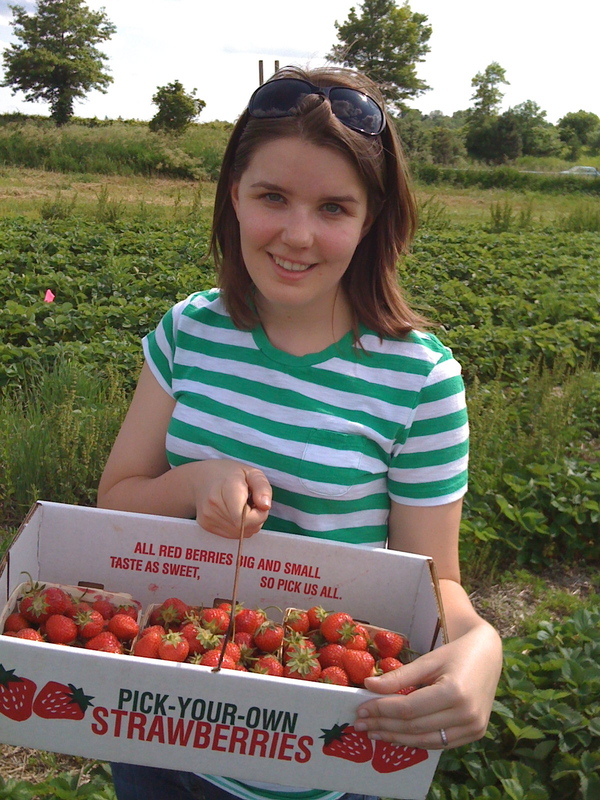 This is why I’m not a good “this is everything I eat every day” blogger. I don’t try to be creative. 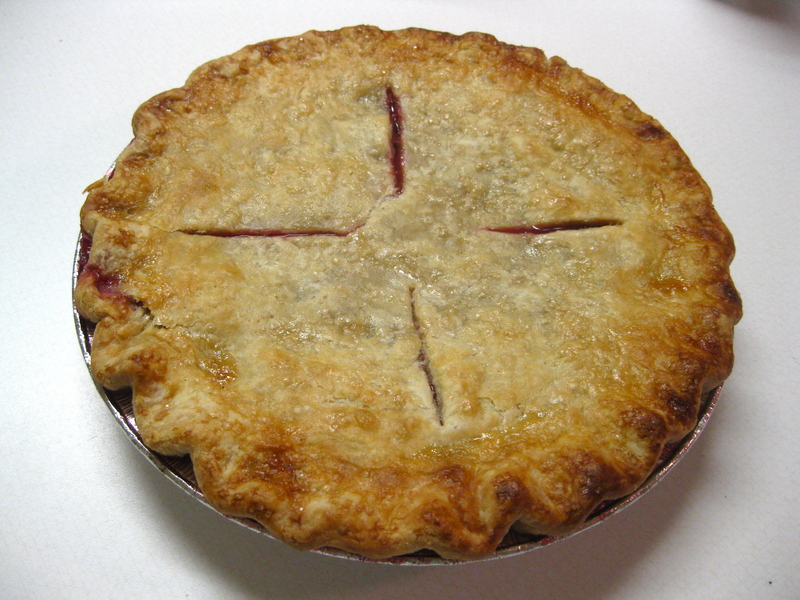 If I find something delicious, I will generally eat it frequently until either Brent or I is sick of it. So more grilled pizza it was. 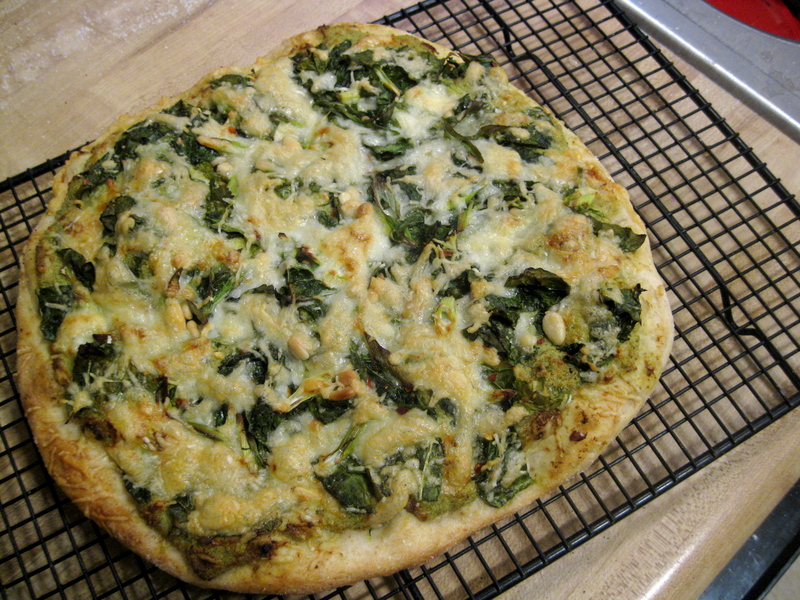 This time, I made my pizza with a base layer of ricotta mixed with a small spoonful of pesto. 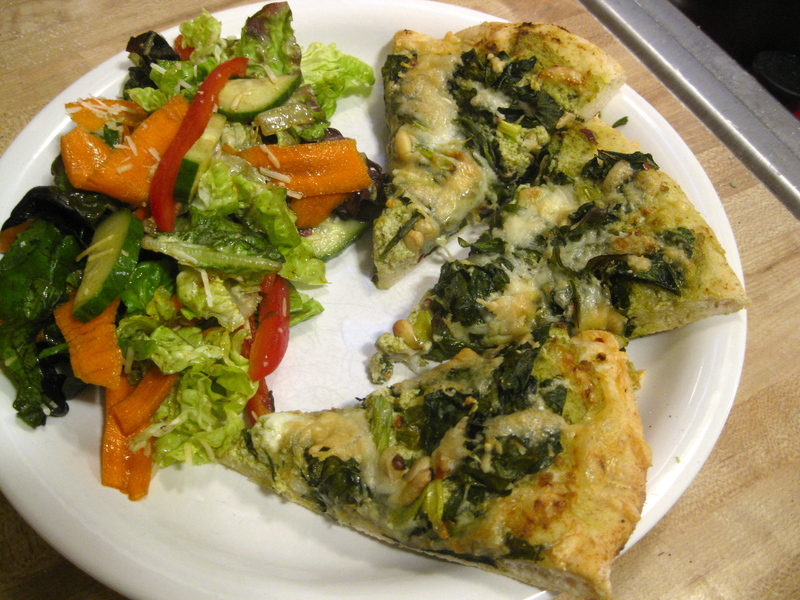 I layered sautéed kale on top and sprinkling a small amount of mozzarella to hold the kale down. We also grilled another bunch of asparagus — because it’s life-changingly delicious. This pizza was delish, but not as ridiculously outstanding as yesterday and here’s why: the coals were defs not as hot today. Those things need to be super hot. Like burn your hand off if you hold it above them hot. Today was more like a mild heat. I have no idea why. But it’s something to keep in mind if you’re planning on throwing the dough on a grill anytime soon. Speaking of grilling pizza, today I was so proud of last night’s dinner I was detailing it to some of my classmates. They were generally confused, (as they usually are when I discuss my food), and my teacher even said, “I have never ever heard of grilling pizza.” I just shrugged and said “well Bobby Flay does it all the time.” They looked at me like I had 3 heads. I get really amused by people’s wide-eyed expressions sometimes. 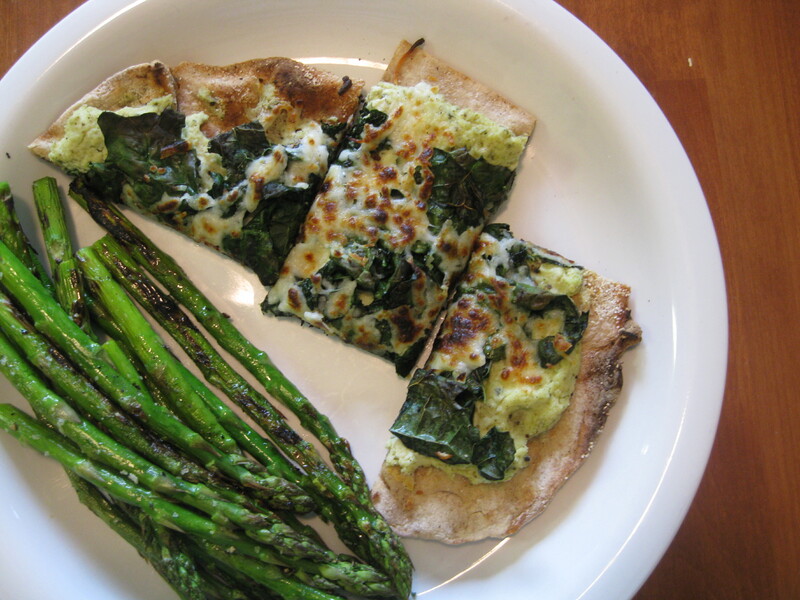 Posted in Uncategorized and tagged cholesterol-related mopiness, kale, Pizza. Bookmark the permalink.